By 1948, the old Glenbank School was in sad shape. A heavy wind had caused severe cracking in the building and the carpenters, even though they had done what they could with repairs, condemned the school. 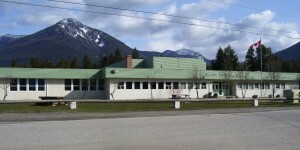 Numerous meetings, arguments and controversy resulted in the building of a new elementary school in Nakusp, and the high school students would return to the Centennial building in town, where the Museum and Library are now (2006). The new elementary school would be at 6th Ave. and 4th St. where it is still in use today 2006. The new school would be ready for opening classes in September of 1949. The PTA (Parent Teachers Association) was called upon to help with fundraising for the new school. A request was made for favourite recipes and they were assembled into a cookbook, which sold for one dollar. The book was so popular that it soon sold out and many were used so often that they were in tatters. The Arrow Lakes Historical Society reprinted 1000 copies of the book a few years ago and still have a few more to sell. For the first time in the history of Nakusp, a graduation class held its festivities in a school building. The 1949-50 grade twelve class, the largest ever, used the gymnasium for their June graduation banquet. The PTA later catered to a fine meal followed by games and dancing. By September of 1955, there were four teachers at the high school and six at the elementary school. Drama events and concerts were favourite pastimes with the students in these years and the plays were often entered into competitions in Nelson. The students did well in these events. 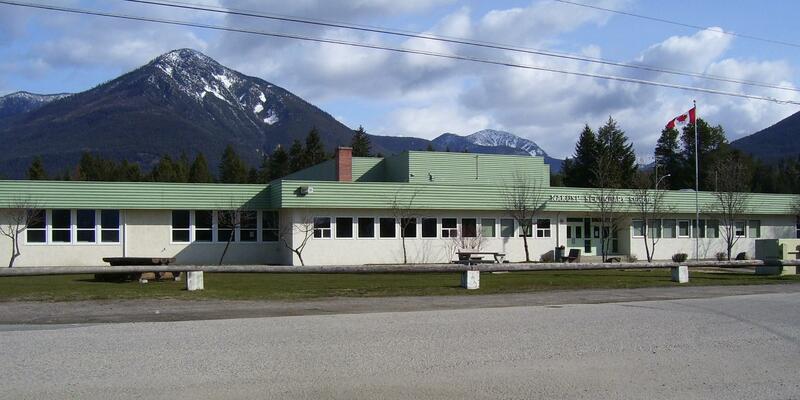 In 1956, a by-law was put forth and taken to referendum for approval to build a six-room junior-senior high school at Nakusp at a cost of $107,000. This was built on highway 6 across from the elementary school where it is still very much in use today. It was designed with rooms for Industrial Arts, Home Economics, General Science, Commercial subjects, a library, one standard classroom, general office, principal’s office, staff room, medication inspection room, auditorium, gymnasium, showers and storage. This would replace the old buildings that students were now attending. David Howrie Ltd. of Vernon was the successful bidder at $162,023 and construction commenced immediately. In May of 1957, Hugh Bolstad, principal of the high school, emceed the opening ceremony and Hon. L.R. Peterson, Minister of Education, was there to congratulate the citizens of the area for this achievement. Other dignitaries who also attended included H.W. Herridge, MP of West Kootenay and Randolph Harding, MLA, of Kaslo-Slocan. Entertainment performed by the students of songs and square dances were featured and the Nakusp Rotary presented plaques to the school. The PTA served tea for the occasion, which concluded a most dramatic day for Nakusp.